We have been blessed to have the most sensational Guest Contributors for our premium program, My Year Without Clothes Shopping. Each faculty member is successful in their own field. They bring their wisdom and experience to the weekly lessons and resources that you receive as a member of the program. This program is a year in length for a particular reason – there’s something about a 12 month challenge that brings about real shifts in attitudes, thoughts, feelings and behaviours. 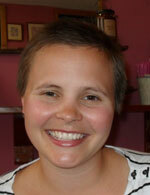 Juliette Anich completed her Masters in Ethical Consumer Behaviour in 2009 at RMIT in Melbourne. She has taught sustainable consumption and consumer behaviour to undergraduate students at RMIT, the University of Tasmania and the University of Newcastle. She is a Director at The Clothing Exchange Australia which offers a clothing swapping service across Australia. The Clothing Exchange is a professional swapping service that promotes the simple notion of swapping instead of shopping for a better wardrobe. The Clothing Exchange is the most successful clothes swapping organisation in Australia. Juliette is faculty in Month 9. 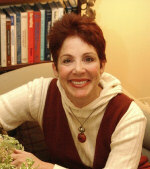 Dr April Lane Benson is a well known psychologist who specializes in the treatment of compulsive buying disorder. Dr. Benson has been in private practice in New York City for over 35 years and is the author of To Buy or Not to Buy: Why We Overshop and How to Stop and editor of I Shop, Therefore I Am: Compulsive Buying and the Search for Self. Dr Benson has published chapters in several professional books, trains therapists, and has conducted empirical research into the efficacy of the Stopping Overshopping model of treatment. Dr Benson is faculty in Months 6 and 12. 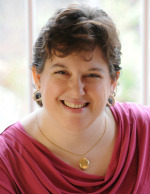 Maureen Campaiola is CEO of Boston based Breakthrough Your Money BS. A recovering over-spender, over-charger, Maureen faced her money fears (and the drama that went with it) head on. She now enjoys the freedom that only true money recovery can bring. Maureen understands the stumbling blocks, mindset problems and self sabotaging behaviors many women engage in that prevent them from making and keeping the money they want. 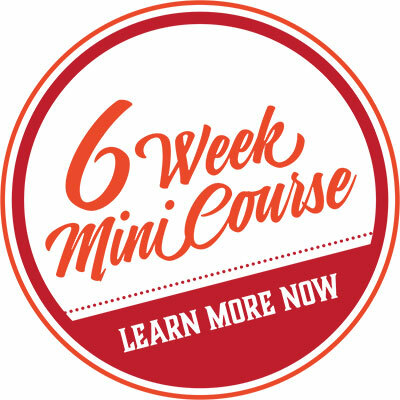 Maureen helps women with repeating unconscious money habits break free of their “glass money ceiling” and figure out how to create empowering money habits. Maureen is faculty in Month 7.
or visit www.sppgroup.com. Theresa is faculty in Month 7. Jill Chivers is the creator of the award-winning website and 12 month online Shop Your Wardrobe program, which she created after completing her own “year without clothes shopping” in December 2010. 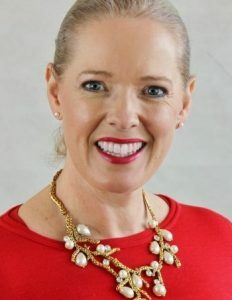 Jill is an energetic and empathic workshop leader, having created and facilitated profound learning experiences for over a decade as a certified professional facilitator and owner of her own facilitation firm in Australia. Jill also loves clothes and style and is fascinated by people including how they see and express themselves. 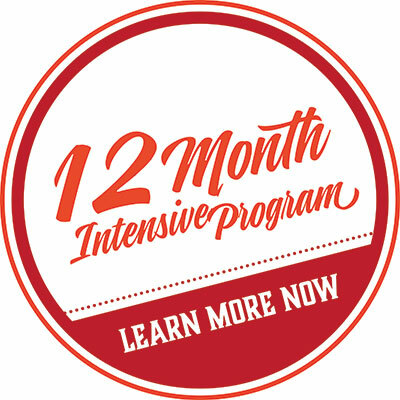 Jill designed the 12 month Shop Your Wardrobe program and has written the material in Months 1, 2, 3 and 11 and co-created modules in Months 4, 10, 11 and 12. Jill has the pleasure and privilege of working with all these other fantastic faculty members and has edited the entire program to ensure the material flows, is of exceptional quality, is thorough and fully integrated. 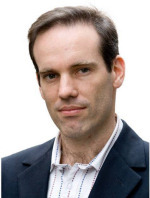 Peter Cook is the founder of the Financial Independence Company and presenter of The Money Workshop. 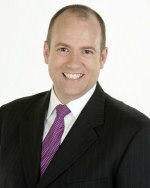 He is a master business coach, a financial independence mentor, an author and a warm, engaging presenter. Peter is a “smart cookie” (so to speak). He has a science degree in advanced physics, a law degree with honours and a masters of business. Peter loves helping people thrive, both in their businesses and in their personal finances – and promises to help you “master your money and retire 10 years earlier”. Peter is faculty in Months 4 and 7. 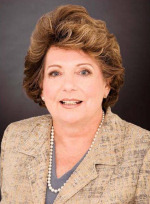 Angela Esnouf is an accredited Expert Professional Organiser and President of AAPO (Australasian Association of Professional Organisers). Her business, Creating Order from Chaos, helps families create order, hoarders break free from clutter and home-based businesses make the most of their time. With e-books, phone consultations, teleclasses, webinars and the free Creating Order Chronicle, Angela can help anyone anywhere. Angela creates user-friendly solutions to lighten the load and systems to make maintenance easy. Angela believes getting organised can be pain-free- and even fun. Angela is faculty in Month 10. 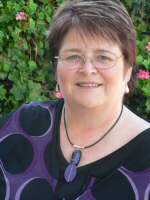 Kim Kneipp is a sustainable stylist and workshop facilitator. An advocate for ethical and individual style, Kim launched her sustainable styling service, Frockerphiliac in 2007. Kim reduces fashion consumption by shopping within clients’ wardrobes and refashioning and re-styling their existing wears. 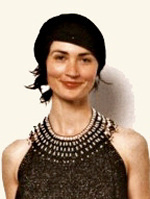 A qualified fashion designer with experience in Fashion, Costume, Retail Management, Visual Merchandising and Sustainable Education, Kim is also a fashion lecturer at The Whitehouse School of Design and runs community-based refashioning workshops, embracing the old-fashioned values of ‘make, do and mend’. Kim is special faculty in Month 9. Imogen Lamport, AICI CIP created her image consultancy, Bespoke Image with a clear mission – to help people look amazing every day without stress and confusion. With a lifelong fascination of the how and why Imogen is fascinated by the science and the art of style. Imogen writes regularly for her own Inside Out Style blog and others. Imogen also conducts workshops for retail optometrists, and works with cancer patients through the Look Good Feel Better organization. Imogen is faculty in Months 5 and 10 and contributes to Months 2 and 11. 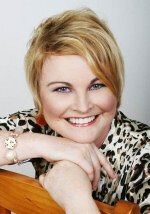 Renee Mayne is Australia’s #1 lingerie business mentor and trusted bra critic. Renee’s love for lingerie comes from the belief that if you get your lingerie right, the rest just falls into place. Renee’s mission is to support women to feel great every day. Offering unbiased, straight-shooting advice, Renee has extensive knowledge of lingerie collections, worldwide. Renee spent five years researching and fitting bras to ensure she has the most accurate measuring techniques. Having fitted thousands of women, Renee knows the best bra shapes and what works. You can learn more at Bra Queen and Busting Out. Renee is bonus faculty in Month 5. – just tell him you’ve come direct from Shop Your Wardrobe! You can sign up for the Get More newsletter, which gives you tips, tools and techniques to Get More out of life, by visiting his website. Warwick is faculty in Month 6. Matthew Paroz established the eco-ethical fashion directory and blog HowBigIsYourEco.com.au in 2010 to show that sustainability can be chic. 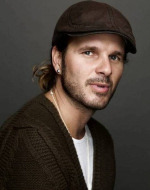 With over a decade’s experience in magazine publishing and fashion PR, Matthew wanted to challenge the notion that eco fashion is about tie-dyed tees and hemp fisherman’s pants. There are beautiful garments that do more than just look pretty: dresses that rebuild communities, tops that don’t poison a farmer’s land, jewellery that recycles resources and outfits that give a fair wage to whoever made it. Most of the designers on HowBigIsYourEco.com.au don’t promote themselves as being ‘eco’, it’s just part of what they do. Which is how it should be. HowBigIsYourEco tells their story so fashionistas can find labels with an aesthetic and values that resonate with them. Matt is faculty in Month 9. 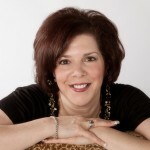 Michelle Russell is a professional organizer and Enoughness Coach. She helps people gain ease and peace of mind about their physical stuff, their time, and their lives by helping them figure out what truly matters to them, and what constitutes “enough” in the different areas of their lives (rather than by just rearranging the pieces). Her clients find that this inside-out approach gives them relief, satisfaction, and lasting change and complements the more expected and traditional outside-in methods. Michelle is faculty in Month 10 and contributes bonus material in Month 4. 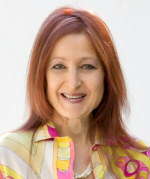 Valery Satterwhite is an Author, Moxie Coach and Inner Wealth Expert. Those who work with Valery are able to satisfy what was ‘missing’ in their personal or professional life so they can transform unconscious compulsive behavior into conscious positive growth. Valery broke free of her own empty gilded cage and now helps others to do the same – and to find their own voice and place in the sun. Valery works with her clients to keep their unique journeys profoundly mapped, well lit and effectively paced for their highest impact. For a free eBook click here and to schedule a complimentary 15-minute strategy session click here. Valery is faculty in Months 4 and 8. 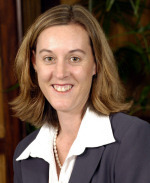 Kate Shaw has 13 years experience in Financial Services. Kate knows about money, being a woman and how important it is to plan for our futures, as a woman’s working life is different from a man’s. She is currently an Independent Financial Adviser with Harris & Associates in the UK, and is involved in a property finding service and she coaches on a one to one basis around all things money. From pensions, to investments, to insurance – Kate knows how to make our money work for us. Kate’s views can be regularly found here – mainly about money but occasionally about cakes…. Kate is faculty in Month 7. Janet Wood is the CEO and one of the founders of Fashion Fit Formula. In college she majored in fashion design, advanced tailoring, and art. To solve her own clothing fit issues, she developed a series of mathematical calculations based on 12 vertical (linear) measurements of her bone structure. The results produced a solution that put her clothes in balance to her body; she suddenly looked taller and thinner. To her amazement, the formula worked for all women. Janet had discovered the missing link for a woman to look her best in her clothing – balance of garments with bone structure. The goal of Fashion Fit Formula is to help every woman fulfil her dreams. Janet is faculty in Month 9.